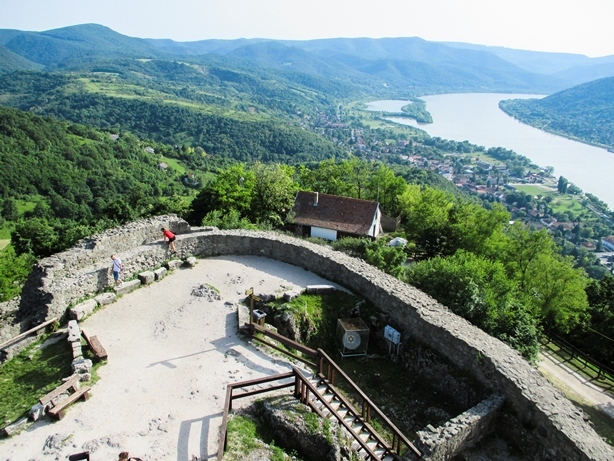 Come and take a boat ride on the Danube and enjoy the great view from the Citadel. The day, 9 May, started quite early for our foreign students. 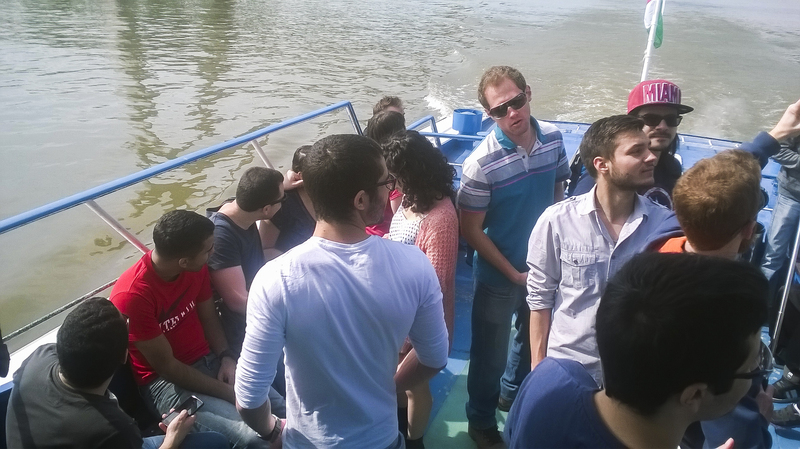 Some mentors from the International Office took them on a boat trip to Visegrád…to the Danube Bend. They were really lucky with the weather because it was shining all day. So finally it was a perfect time for a whole-day, outside activity. The Boat left Budapest early in the morning at 9. During the 3-hour journey they could see the famous sights of Budapest and enjoy the gorgeous view from the deck where they were also able to get some tan. Arriving in Visegrád one of the not-to-be-missed attractions is the Royal Palace with the King Matthew Museum where the famous Lion's fountain carved from red marble and Hercules fountain can be admired. 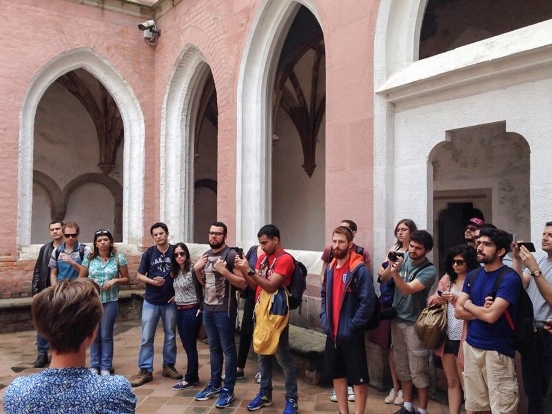 So the students had an hour guided tour there to explore the time back to the Middle Ages. 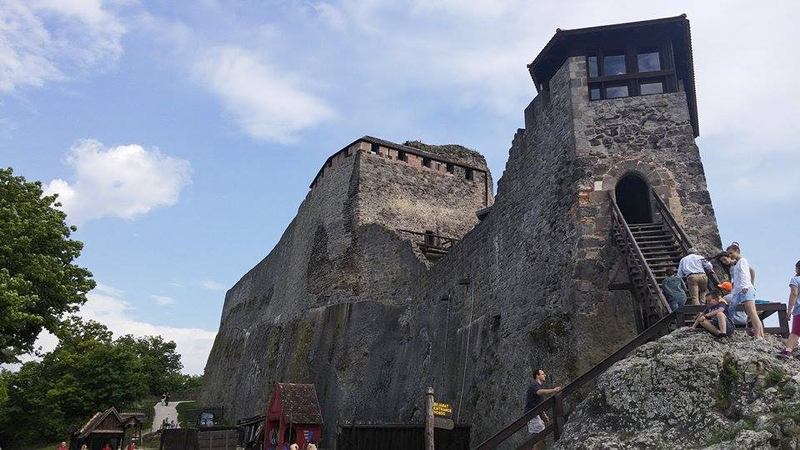 Later those who felt like hiking also visited the the Castle of Visegrád where they could see the historical exhibition, the Waxwork Museum and not to forget the beautiful panorama. Getting tired at the end of the day they went back to the harbour where the boat started back to Budapest. They must have had an exhausting but a memorable trip in a former Royal town.